In the Hyman household, intellectual curiosity and creativity were cultivated and nurtured. There was singing around the piano and dancing in the living room and art projects at the kitchen table: Shirley’s old clothespin dolls even made a reappearance. One year, dismayed to discover the children’s lack of familiarity with the Bible, Shirley and Stanley read from it every night at the dinner table. 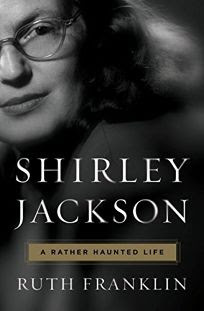 Shirley also read her favorite books aloud to the children at bedtime: the Oz series, The Hobbit by J. R. R. Tolkien (which she preferred to The Lord of the Rings), fairy tales. At age nine, Laurence was given a set of oil paints; at twelve, he took up jazz trumpet. By the time he was fourteen, he was performing in nightclubs with professional musicians, a pursuit Shirley and Stanley supported and encouraged. For years, the family played poker together on Sunday afternoons, whether the children wanted to or not. “Shut up and deal,” Stanley would growl.